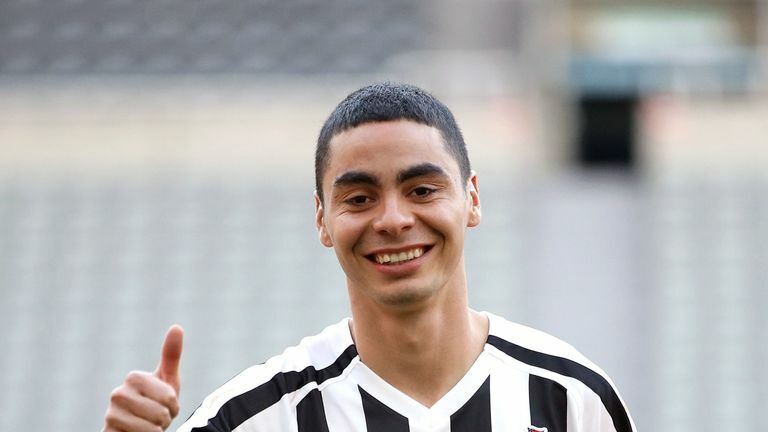 Rafael Benitez says he is confident that Newcastle's record signing Miguel Almiron has what it takes to succeed in the Premier League. The Paraguayan midfielder moved to St James' Park from MLS side Atlanta for a club-record fee, which Sky Sports News understands was £21m. 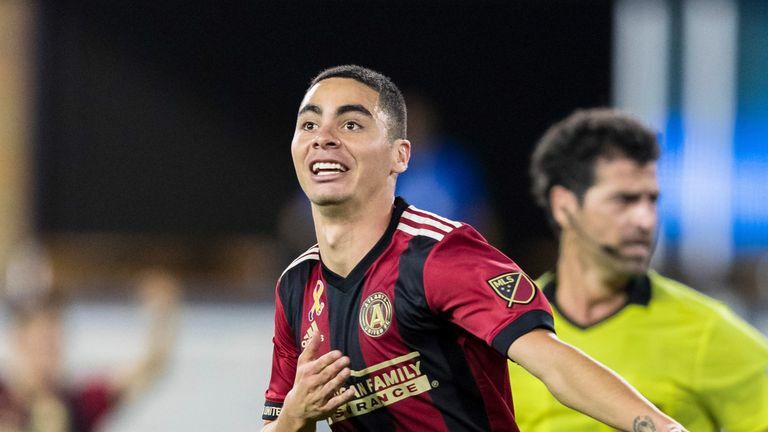 Almiron trained with his new team-mates for the first time on Wednesday after being awarded his work permit, and could make his debut against Wolves on Monday Night Football. "He is fine, he is training okay, he is fit, he has good stamina and pace," said Benitez. "He is quite mobile, quite dynamic. Now the question mark is what will happen with the physicality of the Premier League? What's the difference between the MLS and the Premier League? "All these things we know but we will see how he copes with that but at the moment he is okay with the training sessions. "Miguel is a nice lad, he's a worker and he's training well. He's talked with the nutritionist already so he's professional. "He can talk English and Spanish so in terms of what we want from him on the pitch it's okay. "It's just a question of putting him on the pitch and seeing how he copes with the tackles. Almiron said on Thursday he is not paying attention to the pressure on his shoulders and is focused on helping Newcastle climb the Premier League table. Newcastle are two points above the bottom three ahead of the weekend fixtures, and Benitez accepts it could take time for the 24-year-old to fully settle in. 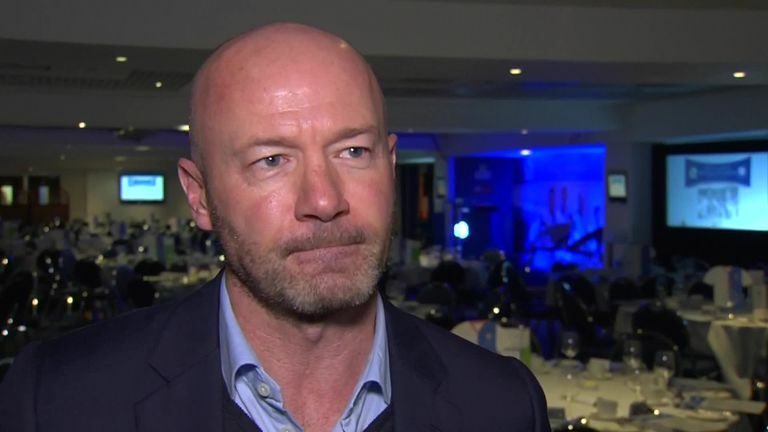 "For every player to come to another league, especially the Premier League, it is quite difficult so he will need time to adapt," added the Newcastle boss. "For some players it is more difficult because they cannot communicate but he can talk with a lot of players in Spanish and he understands English perfectly so it's not an issue for him. "Players cannot think too much about the price. They have to think about what they can do on the pitch, what they can give the team. I think he has the right mentality in terms of that." Benitez has a rare selection headache for the trip to Molienux with Almiron and five fit-again players available to him. Paul Dummett, Mohamed Diame, Ki Sung-yueng and Joselu are all back from injury while Yoshinori Muto is available following his return from the Asian Cup. Pushed on whether Almiron will feature on Monday, Benitez replied: "I need to decide because we have a lot of players (available) but he has a chance to be in the squad".